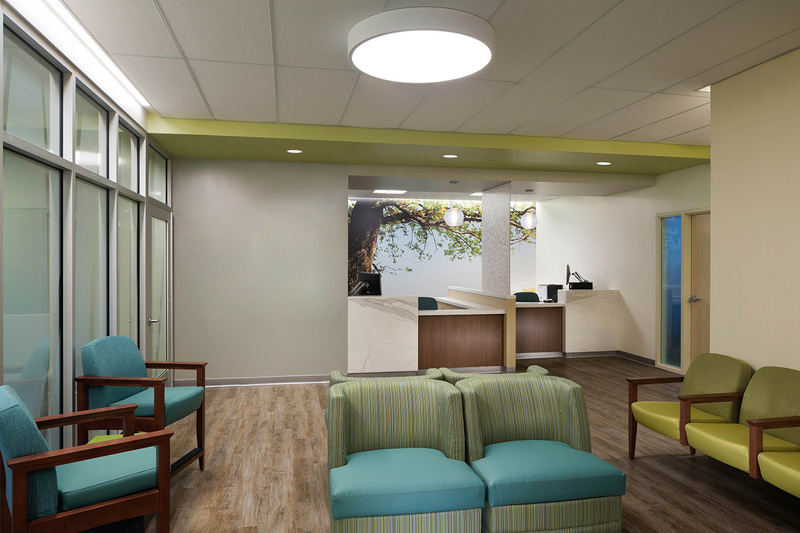 The interior design concept for the Park Place Behavioral Health Expansion focused on creating an environment that is serene, assists in the reducing of anxiety and provides daylight opportunities. 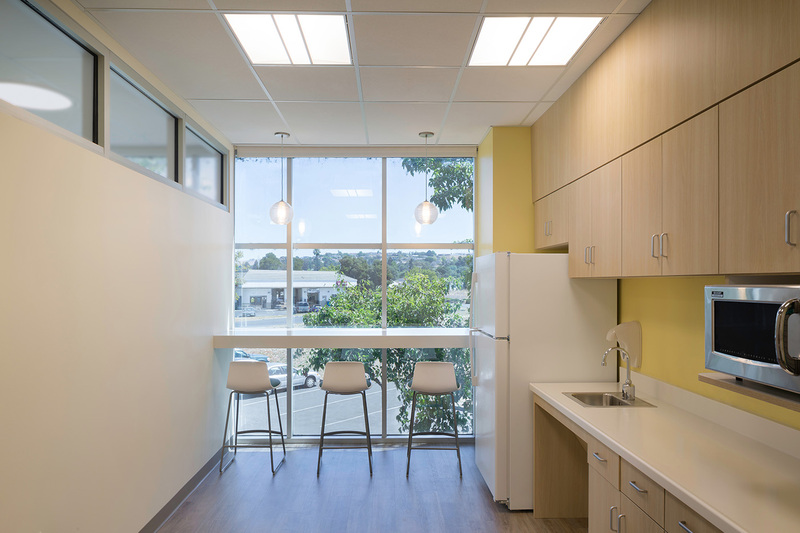 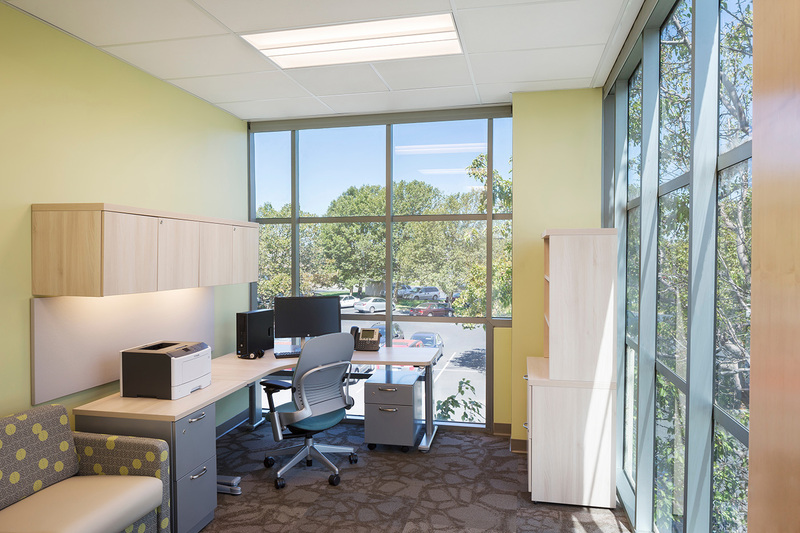 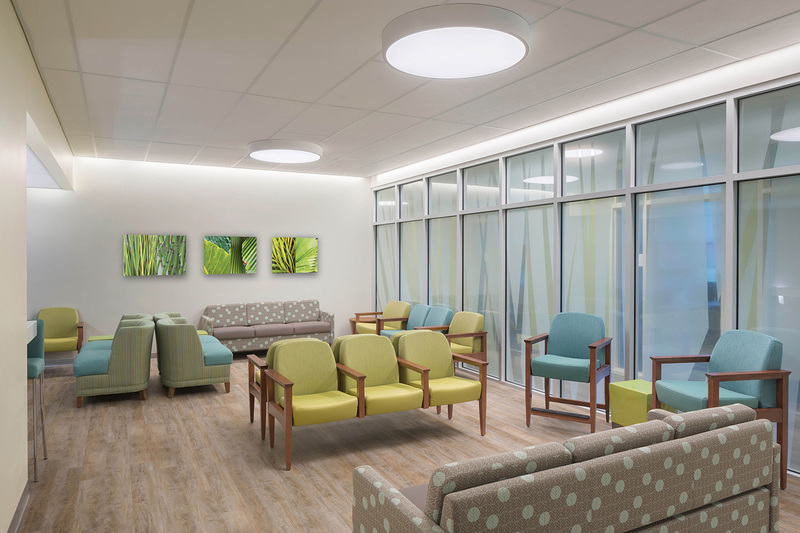 The interior finishes and patterns are inspired by the colors that connect with natures while also embracing the overall design philosophy of Kaiser’s Total Health Environment (THE). 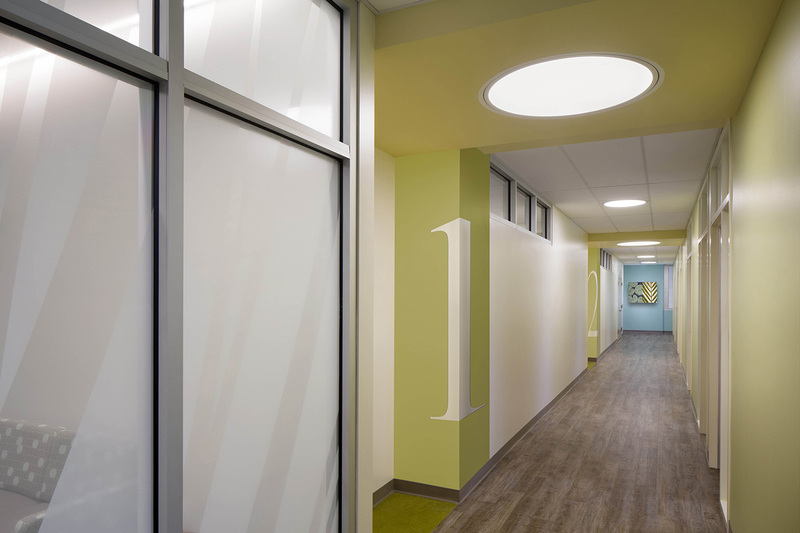 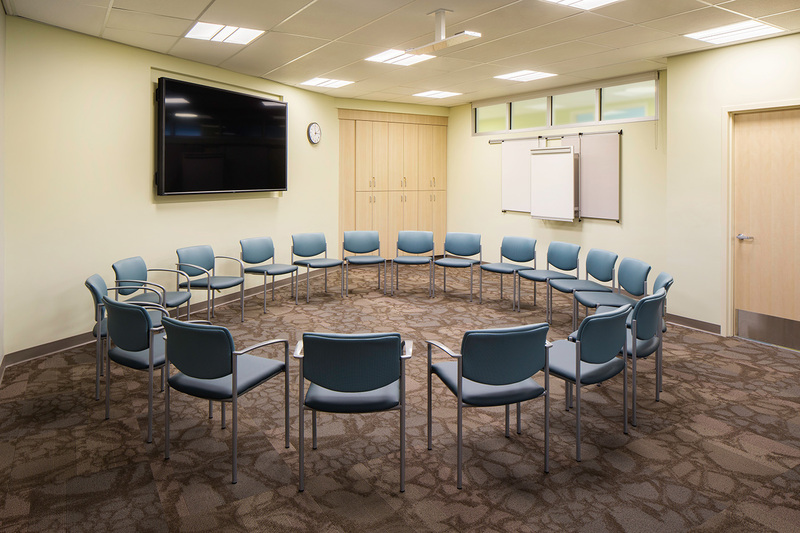 The design concepts, finishes and patterns were used to enhance the space and provide visual relief for members, staff and guests as they make their way through the waiting area and group therapy rooms.